For centuries, the French epic poem, La Chanson de Roland, or in English, The Song of Roland recounted the tale of a loyal knight named Roland. Chivalric Roland is faithful to his king, even to the point of giving his life for his lord. Alternate versions tell of a man who left his bride to go to war. The legend fails to give the full story. Who was Roland? Why was he so motivated? What was he like as a person? What about his family? Who did he leave behind when he went to war? 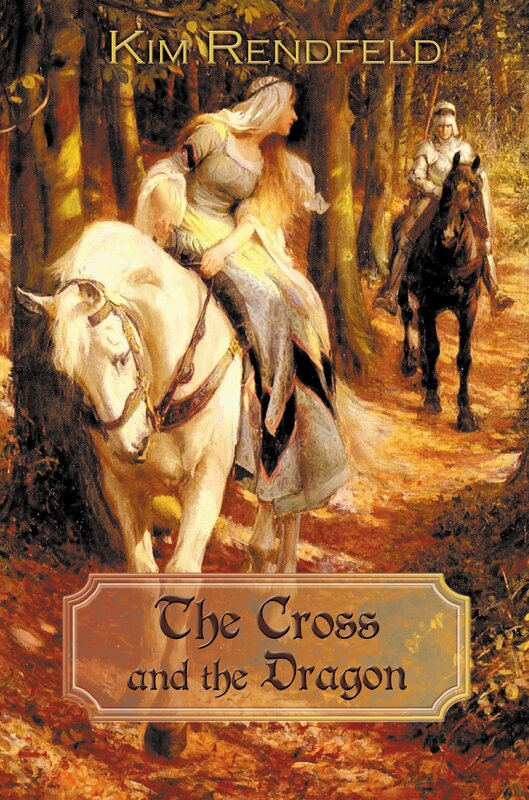 In her book, The Cross and the Dragon, 2012 published by Fireship Press LLC, Kim Rendfeld explores some of the holes left by the legend. She takes the reader back to the time of Charlemagne. Her story revolves around the spirited Alda and a knight named Hruodland. The teenage Alda has come of age and her family is in negotiations for marriage with a vile, abusive knight. Enter Hruodland. The story tells of their courtship and love as they face challenges of family, duty, and war. Rendfeld captures the essence of a teenage girl in Alda. She behaves in ways that remind the reader of a modern teen. Through the events of the story and her deep love for Hruodland, Alda comes into her own and learns the importance of family, duty and love. For his part, Hruodland too learns about duty and sacrifice. The author includes details that are authentic to the period, although not politically correct today. The little particulars add flavor and texture to the story and aids in fleshing out the characters. Even legends are rooted in facts. Sometimes those facts are lost to history. Rendfeld skillfully presents what might have been facts, and entertains the reader at the same time.